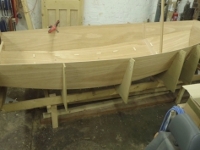 If you want a hull, rig (mast, boom, spinnaker pole, gaff) or foils (daggerboard, rudder) measured to certify compliance with the class rules, you need to contact a Mirror dinghy measurer. 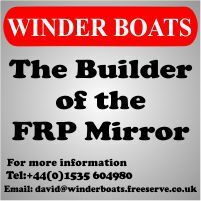 In the UK, Mirror dingy measurers have to be approved by the RYA. Mirrors are an International Class, so the current list of Mirror measurers can be found in the list of RYA Approved International Class Measurers on the Measurers page on the RYA website. Some sail lofts (Batt, North, Pinnell & Bax,...) are able to certify sails they produce comply with the class rules as part of the manufacturing process under ISAF/World Sailing's "In House Certification" scheme. Such sails carry an ISAF/World Sailing label as the certification mark. Sails without an ISAF/World Sailing label need to have been measured and certified before they can be used for racing. Mirror sails can be certified by a Mirror dinghy measurer, or an RYA Sail Measurer. The list of RYA Approved Sail Measurers is on the Measurers page on the RYA website.